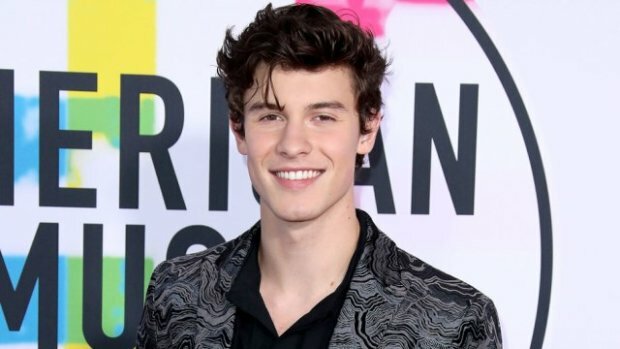 Two weeks ago, the adorable and talented Shawn Mendes made your ears oh-so-happy by dropping two new tracks “Lost in Japan” and “In My Blood.” At just 19-years old, this teenage dynamo is selling out stadiums, making gals feel all the feels, and just repping Canada hard with his cute face and sweet tunes. If you’ve been “sleeping on” Shawn Mendes like everyone’s fave Olympian, Adam Rippon, now is the time to get familiar with this dude’s catalog. For the fans that are new to the party, here are six must-watch Shawn Mendes videos to fall in love with. 1 – “Stitches” — This was baby boy’s breakout hit. Watch him get beat up by an invisible assailant. 2 – “I Know What You Did Last Summer” – This duet with Camila Cabello was such a dramatic teen jam. 3 – “Treat You Better” – This angsty tune about pining for another guy’s lady is dark and moody with a sneak shirtless scene. There’s a reason it has 1.5 BILLION views! 4 – “There’s Nothing Holding Me Back” – Young love is adorable, ya’ll! 5 – “Bad Reputation” – This MTV Unplugged rendition demonstrates his diehard fandom. 6 – “In My Blood” – His Late Late Show with James Corden performance is def worth a watch.. or two… or five.